Washington State linebacker Logan Tago has been charged with second degree felony robbery and fourth degree misdemeanor assault, Whitman County Prosecutor Denis Tracy announced Monday via a press release. Tago’s court date at the Superior Court of Whitman County is scheduled for Oct. 28, at 10 a.m. — the day the Cougars football team heads to Corvallis, Ore. to play against Oregon State. However, WSU Athletic Director Bill Moos has previously said that any student-athlete who has been charged with a crime will not be allowed to participate in athletics. Tago, a sophomore from Pago Pago, American Samoa, was arrested after allegedly stealing beer from another man in Pullman on June 4. According to the prosecutor’s summary of facts that were filed on Monday, the victim reported the incident to the Pullman Police Department alleging that he had been assaulted by a group of football players, who then stole his six pack of beer. The victim told police a group of males approached him and asked him to give them his beer. When he refused, the victim said his leg was kicked and he was hit on the head and beaten by a group that he said consisted of three Samoan males and two white males. The victim alleged that he was left with a concussion and released his medical records to Pullman Police, which later confirmed that the victim had been treated by a physician at Pullman Regional Hospital and found to have symptoms consistent with a concussion. A couple of days after the incident, the victim contacted police and said he’d identified his assailant as Tago after looking at the WSU football roster player biographies online. When police first interviewed Tago on August 5, the linebacker told officers he’d run in to the group of men he was with that night, but did not know who they were. Tago initially asserted that he never hit the victim, but had been trying to help him up after the group he was with assaulted the 22-year-old male. The victim later refuted this, saying Tago had been the one who demanded his beer and hit him. Pullman Police Chief Gary Jenkins said Monday that Tago has maintained that he does not know the identities of the group he was with on June 4 and said the victim has also been unable to identify any of the others in the group that allegedly assaulted him. Consequently, Tago was the only suspect the police interviewed during their investigation. According to the summary of facts, the victim told police that his intoxication level on the night of the incident was a six on a scale of one to 10 and said he “remembered the assault clearly and that Tago had been one of the men who assaulted him.” The victim said he certainty that it was Tago was a “9.5” on a scale of one to 10. According to the prosecutor, second degree felony robbery carries a maximum penalty of 10 years imprisonment and a $20,000 fine. Assault in the fourth degree carries a maximum penalty of one year in jail or a $5,000 fine or both. 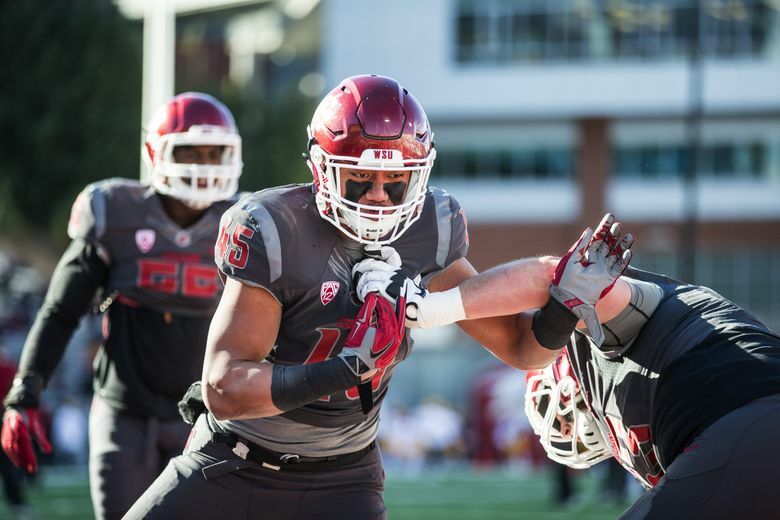 Tago has started two games this season at rush linebacker for WSU.